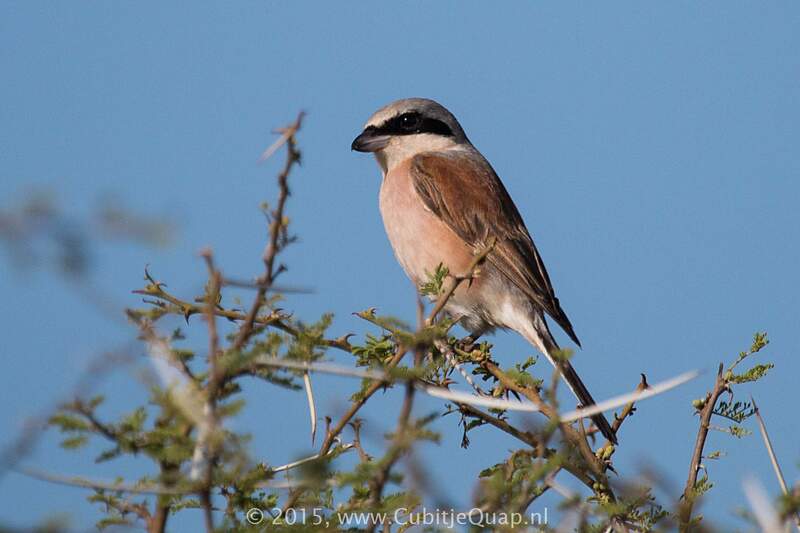 In the region, the only shrike with a combination of a chestnut-coloured back and a grey crown. Male has a blue-grey head and rump, and light underparts contrasting with the chestnut back; these are diagnostic. 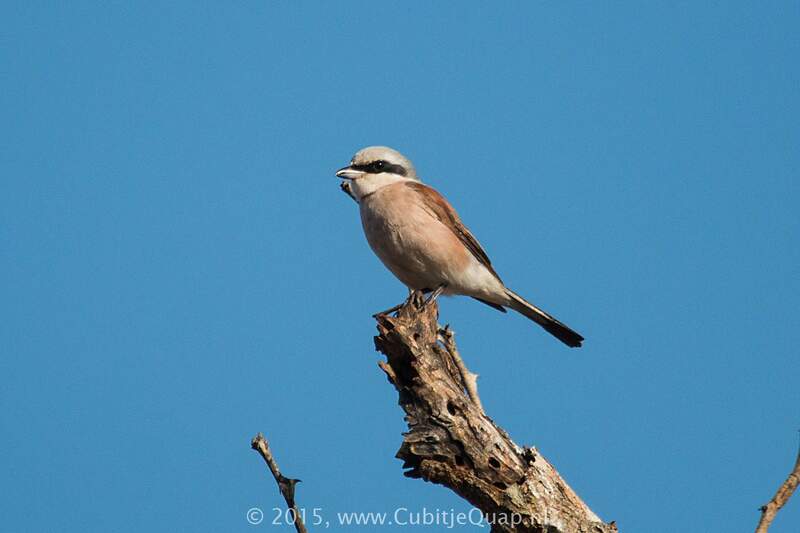 Female and juvenile are duller reddish brown above, and have greyish brown crescentic barring below. 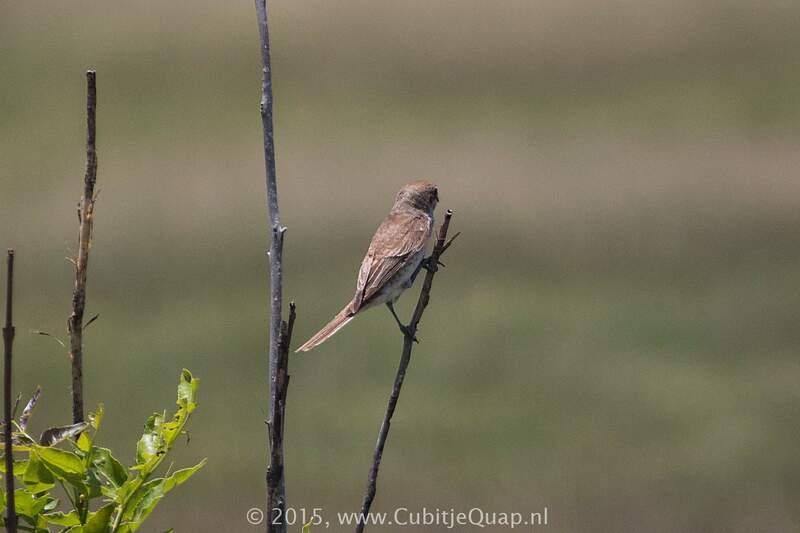 A harsh 'chak-chak', and a soft, warbler-like song.